Brave, bold, beautiful & bulletproof! Wonder Woman is an Amazonian princess. Member of the Justice League, and DC Comics' most famous female super hero. The Wonder Woman Mythologies series will explore Wonder Woman's various guises, from traditional outfits to exciting one-off looks, while uncovering what each means for the character. 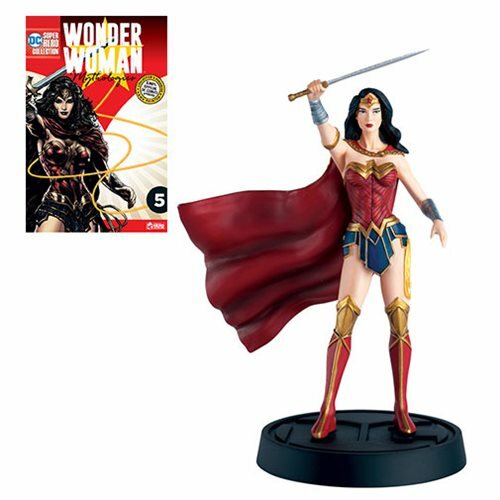 The Wonder Woman statue has been hand painted and produced in high quality metallic resin, is finished in a retro-style blister packaging, stands approximately 5-inches tall and is accompanied by a 12-page magazine.